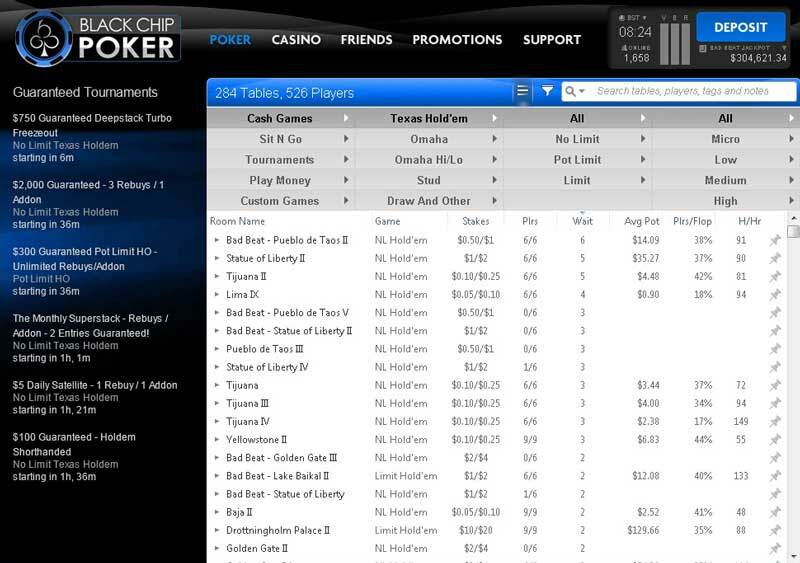 Click the „Rewards” tab near the top of the screen and then selecting „Rakeback”. 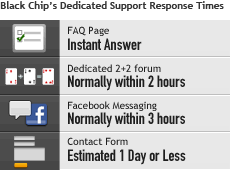 Click the „Click Here to Redeem” button. 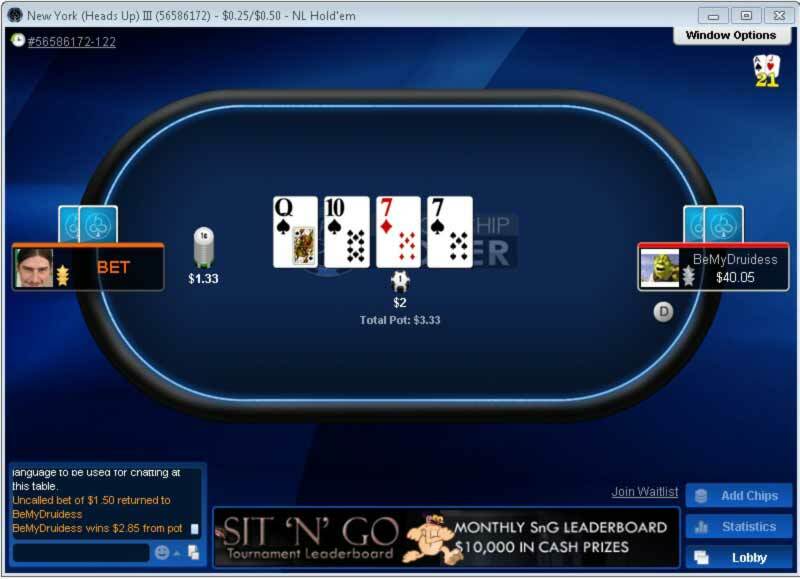 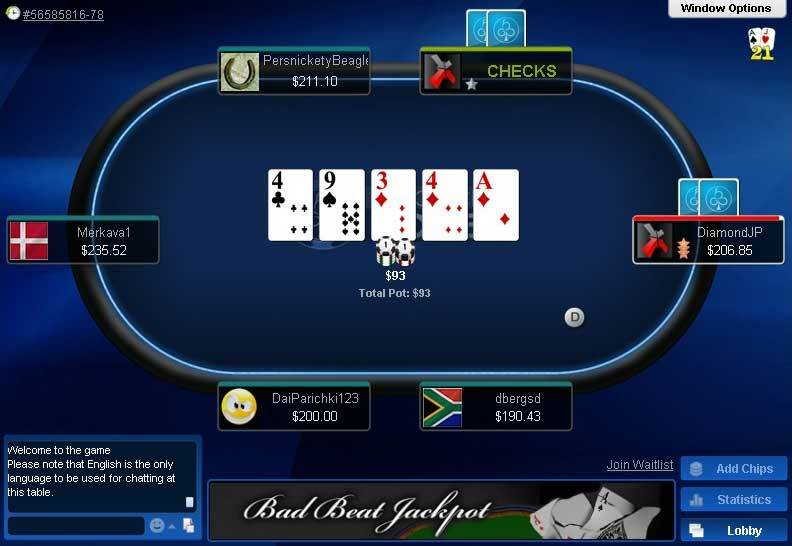 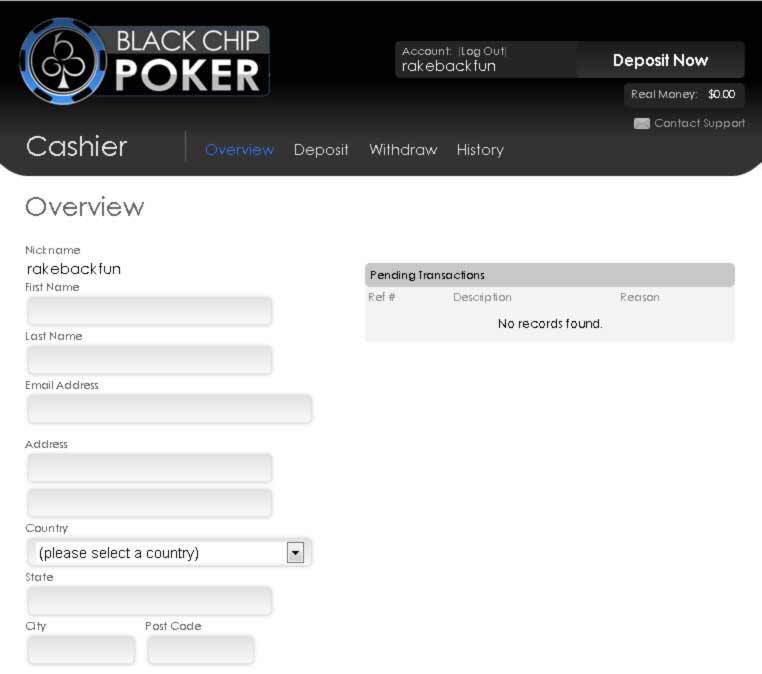 April 5, 2014 – Black Chip Poker stopped charging rake for their ‘The Beast’ progressive rake race – going forward it would be fully funded by the network, with no rake drop for players.